This belt is 38mm (1½″) wide and made from high quality Italian leather. 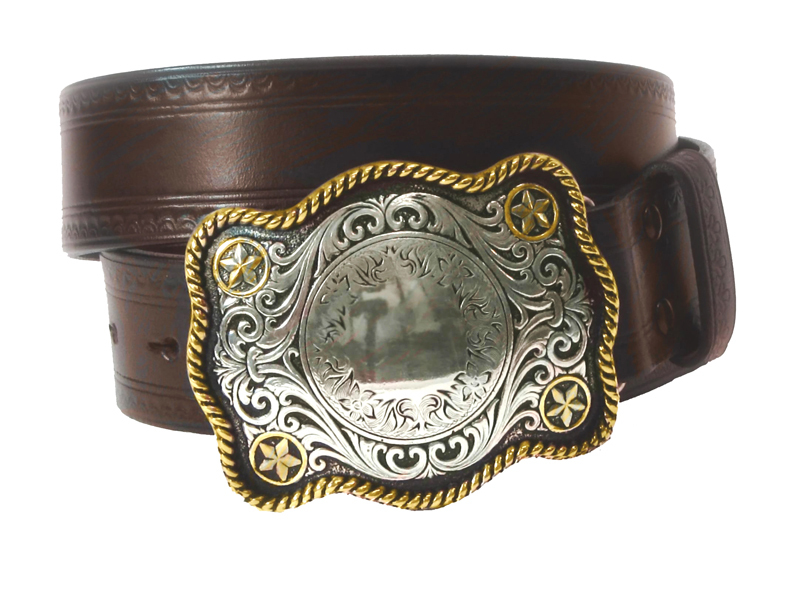 The buckle is styled after the famous Texan rodeo trophy buckles. The buckle has an antique silver finish with a gold trim and is made from tough zinc alloy. The leather strap has a scallop shaped pattern around the edges. A belt loop is optional for this belt.